A slim, stylish, easily portable heating solution for your home. 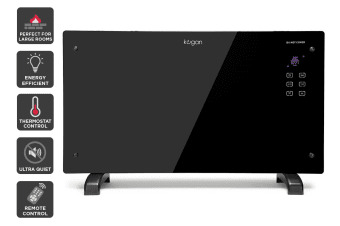 Turn the heat up in style when you bring home the Kogan 2000W Black Glass Portable Electric Panel Heater. 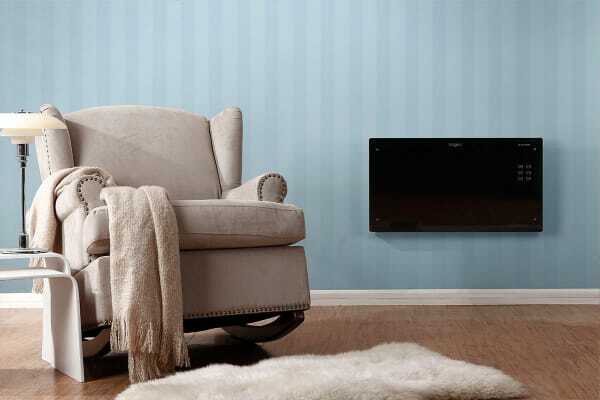 Its special ‘X’ shaped heating element heats up in no time to give you warm and toasty surroundings. The two heat settings and thermostat control enable you to maintain the perfect temperature for your liking without any unnecessary wastage of precious energy. 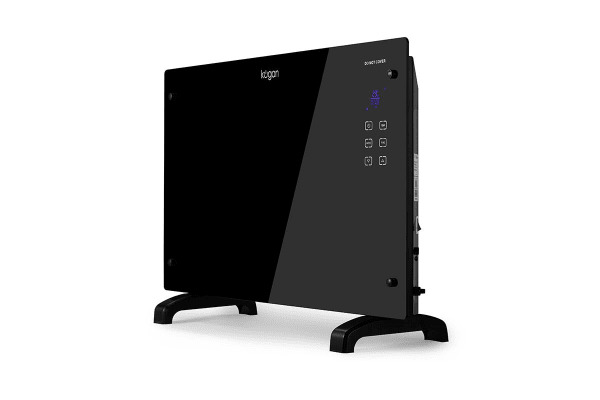 Plus, the sophisticated touchpad control panel ensures that using this heater to reach the desired temperature is just a soft tap away. With its easy portability, you’ll find it convenient to move it from one location to another, but its gorgeous looks will tempt you to get multiple units and mount them on the wall of every room in your house. I am still waiting on a replacement Remote Control. It is a bit slow heating up my room,but generally is fine.